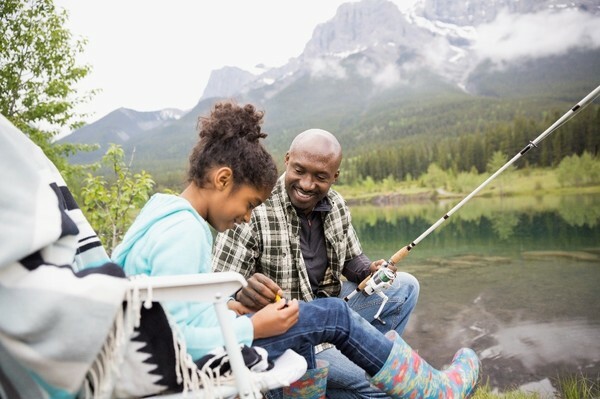 As your local Farmers® agent in Chicago, IL, I help customers like you identify the insurance coverage that best fits your needs. 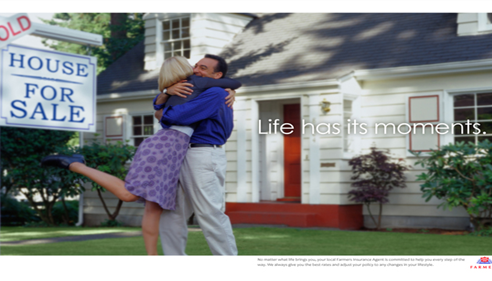 I have been an agency owner with Farmers Insurance since 1997. I have my Bachelors in Business Administration from Saint Xavier University. I have two locations that services over 4,000 policies across Illinois. Currently licensed in Illinois, Arizona, Wisconsin, Texas and California. I rank in the top half of one percent of over 16,000 agents nationwide. I am the first woman in Illinois history to earn the prestigious Presidents Council Award, and have won eleven years in a row, from 2006-2017. 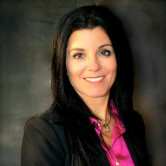 I have an in depth knowledge of the insurance industry and a genuine concern for my clients. We care about our customers. 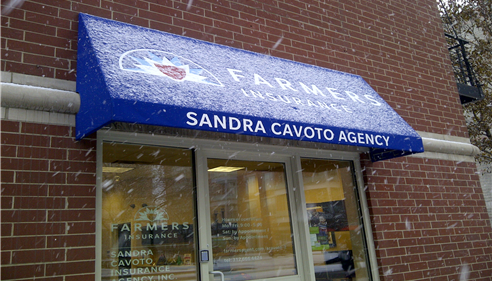 At the Sandra Cavoto Insurance Agency, our first obligation as your agent, is to protect you, your family, your business, and your assets by seeing that you are properly insured. 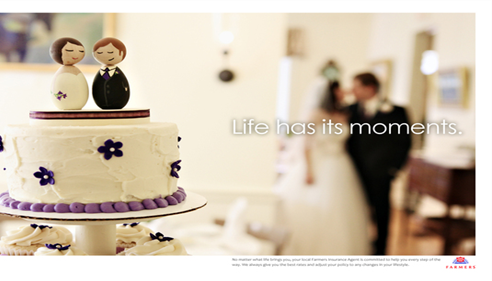 Our job is to educate you, our client, in understanding your coverage and options. We promise to provide you the best possible service and help you maximize your coverage position as well as notifying you of any changes in our products. Referrals are the strengths of our business and we feel your friends and family will benefit from our services. We are committed to creating an agency environment where our customers feel like privileged guests. 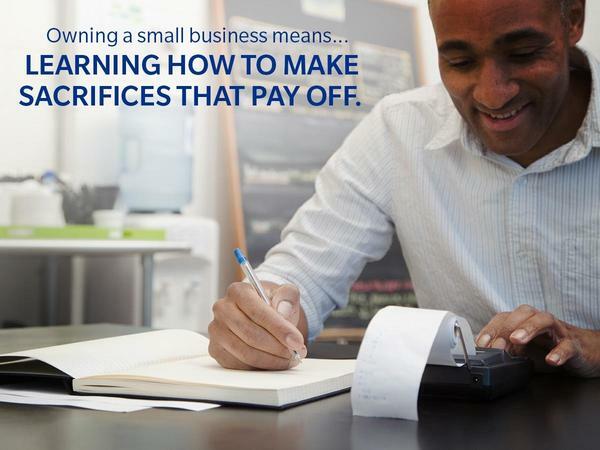 Give me a call at (773) 586-4500 and I'll be happy to answer any questions you might have. 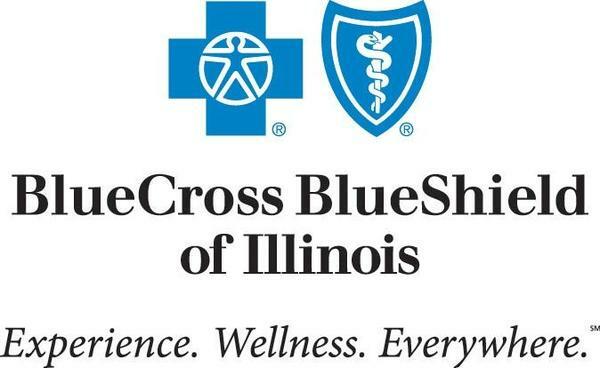 Learn More About BlueCross BlueShield Health Insurance! 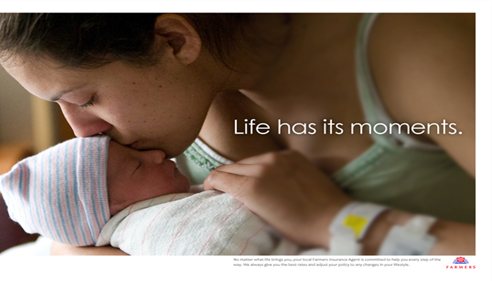 Open enrollment starts November 1st. Click the URL below to obtain a fast and easy quote! 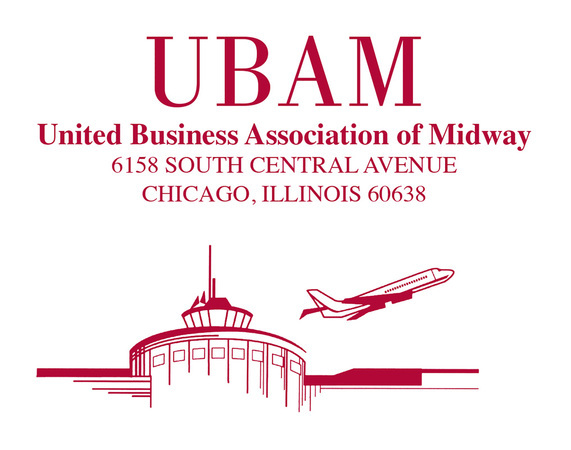 The purpose of the Association is to encourage, to support and to develop strong and active business community in the Midway Airport Areas. Sandra is a true professional. Outstanding customer service , skilled on so many levels. Always courteous office staff, all so knowledgable and willing to assist . farmers has been above all my expectations. aslong as I have been with farmers.car life house. thanks Sandra and staff. I have not spoken to anyone but the online experience was quick and easy, I received s message saying I would be contacted but I was not. Very professional and knowledgeable. I am very glad to work with Sandar and switched to Farmers. hi SANDRA. i give you 4 stars because i have not talk to you yet however i spoke with two very nice ladies ARACELY and DINA and they helped me in welcoming me into the FARMERS INSURANCE FAMILY AND THE MADE ME FEEL GOOD ABOUT IT so hopefully in the near not distant future you and i engage in a nice conversation about your discounts wit FARMERS INSURANCE take care SANDRA. YOURS BERNIE FLORES. Lena was extremely helpful and very professional. 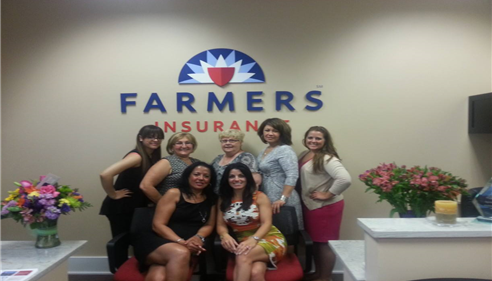 Farmers Insurance is a great insurance company and Sandra’s office excels in professionalism! Sandra is a professional agent for insurance. She helped me a lot for my insurance transferring. And she is very kind. I do not always enjoy services provided over phone but Farmers Insurance's agent was very helpful. For example, this is the first time I buy home owner insurance and she patiently explained to me the importance of getting an appropriate coverage for liability. When I feel indecisive on the amount of personal property, she actively asks me some questions, helping me decide an appropriate amount. Some mediocre agents might have just sit there and passively listen, but definitely not mine. Sandra and her team met with me to review my portfolio and recommend changes to a number of policies. Her team followed up on our agreed updates and implemented everything efficiently and professionally. I felt they understood my needs and came up with cost effective solutions. I met with Lina this past weekend. 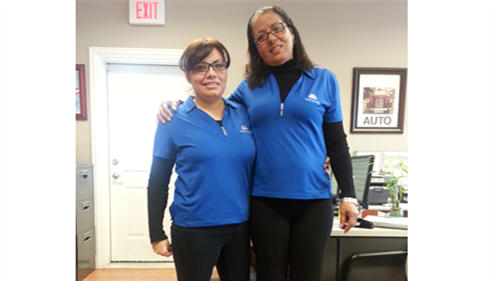 First and foremost I want to thank and acknowledge Lina for coming in on her day off do a review and rewrite for my auto insurance. Needless to say she was awesome to work with and she was able to find some significant savings for me and with a little more work on my end I will be eligible for additional savings on my homeowners. I want thank Lina for her hard work and dedication to the overall customer experience. I have been with Sandra for decades, always a pleasure. Hands on and amazing customer service. Much appreciated. Sandra was fantastic. Quick response, very attentive and got us more coverage at a lower cost. We couldn't be happier. 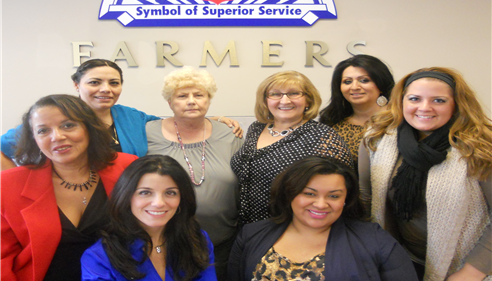 Veronica and Georgi sporting Farmers® apparel. 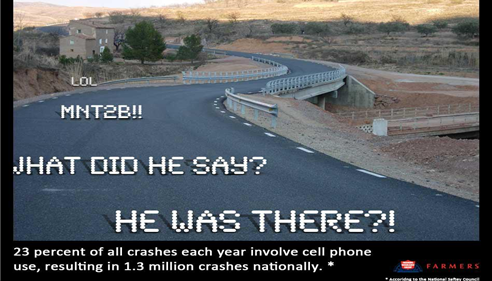 Be smart on the roads! There's snow in the air! 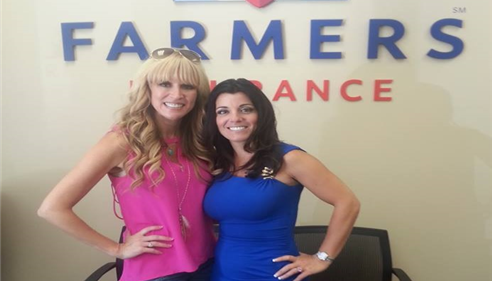 Paige Hemmis from Extreme Makeover Home Edition!